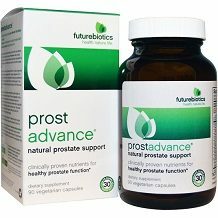 Futurebiotics Prostadvance is a supplement that is designed to provide the prostate gland with essential nutrients and antioxidants, to improve the functioning of the prostate gland and maintain its health. We’ve reviewed this supplement based on its ingredients and other factors like its cost and guarantee to determine if overall the product is of a good standard. Many of the ingredients in the above list have antiproliferative effects, meaning that they reduce the division of cells. This is an important function because in prostate enlargement, the cells inside the prostate are multiplying far more than they need to. The minerals and saw palmetto berry extract have this effect. Other ingredients have similar effects because they block the testosterone hormone from causing excessive cell division in the prostate. These include the soy isoflavones. 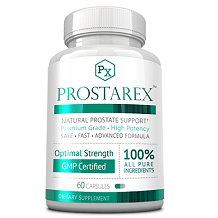 Finally, there are also antioxidants in this supplement which help to reduce inflammation which sometimes accompanies prostate overgrowth. Some antioxidants like lycopene have been clearly linked with a reduction of the risk of developing prostate cancer. Three capsules of Futurebiotics Prostadvance must be taken daily. The manufacturer is not entirely clear if the pills must be taken all together as one dose or as three separate doses. They also don’t state whether the supplement must be taken with a meal or not. There aren’t any major side effects associated with the use of this supplement, but individuals who are taking chronic medication should seek the advice of a doctor before starting to take it. It is also recommended not to exceed the dosage expressed by the manufacturer, unless directed to by a healthcare professional. Buying 90 capsules together will cost $21.95 when purchasing them online. Unfortunately, there appears to be no bulk order discounts or subscription services that could have customers pay a reduced price. The manufacturer does offer free shipping on all orders over $49 though. Futurebiotics Prostadvance comes with a money back guarantee that is valid for 1 year. This guarantee does cover products which have already been opened but the unused portion must be returned to the manufacturer to complete the refund. Futurebiotics Prostadvance contains a number of natural ingredients with scientifically proven effects. It is also offered at quite a fair price. We do have some concerns about the product though. Our first concern is that the manufacturer is not completely clear in their instructions of how to take the supplement. This could result in customers taking the supplement incorrectly and then not getting the results they desire. We also find it unfortunate that the manufacturer doesn’t offer any discounts on bulk orders or subscription services, as some manufacturers do. Offering discounts just shows the level of care for the customer and gives them more freedom and choice when deciding how they want to spend their money on the supplement. Potential customers should try looking at supplements that have a range of pricing options and that are more clear in their dosage instructions.